Yours truly has reached a milestone in her life – I was born on October 25, 1958 and thus will be celebrating my 50th birthday this Saturday. Fifty years… wow. That’s five decades, half a century. It’s been a pretty interesting 50 years. I think there have been more changes in society over this time than any other period in modern history – certainly so here in America. We’ve seen great strides made in technology and transportation, medicine and media, communications and culture. We’ve witnessed the changing roles of African-Americans, women, and people with disabilities in our society. We’ve observed both the Deaf Community and the Pagan Community change too… taking advantage of all the advances which have been made in the past five decades. I’ve changed over those years also. I’ve grown from an enfant to a toddler to a teenager to a twenty-one year old having her first legal drink to a thirty-something year old settling into her career to a forty-something year old struggling with “mid-life crisis” to now turning fifty. It seems that as I get older, the only thing that speeds up is time. But if time is a thief, time also leaves something in exchange… experience. I am the culmination of all the experience I have accumulated over the past fifty years. While I might be older, hopefully I’m also a bit wiser. Contrary to popular opinion, age does not bring wisdom. It merely changes simple stupidity into arrogant conceit. I wonder at what age that sense of arrogance and conceit begins. Although long-life can be a burden, mostly it is a blessing. It gives time enough to learn, time enough to think, time enough not to hurry, time enough for love. So slice yourself a piece of birthday cake, pour yourself a goblet of mead, and help yourself to one of those edible seashells. Know that I love you, and I’m glad you made time enough to help me celebrate my first fifty years. I hope you’ll stick around for the next fifty. Happy Birthday, Osh!!! What a great date, I love birthdays, being alive is good (hhmmm… next year I’ll be 40!). I wish you all the beautiful things in life you deserve. Love, health, strength… Have a wonderful day tomorrow! Life’s a Beach and you are living proof! The 50’s are a marvelous decade–much more settling than the 40’s. Perspective is a wonderful gift. Wishing you all the best that life has to give and all the peace of your favorite ocean. From one Scorpio to another – Happy 50th Birthday Virginia! Loved your post – great food for thought, as usual. Oh, wow ! Nice and beauitful cake ! Of course, Happy 50th Birthday , Ocean !!!! 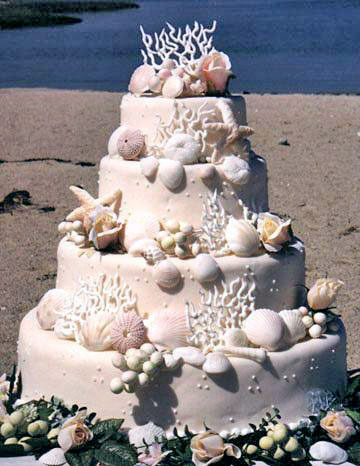 I love to look at the sea stuffs on cake. Wonderfully !!!! Have a good day, tomorrow. And smile ! May Goddess Brigid bless you on your special day ! Now you are officially a child again! Run free….be naked…act like a looney. You have carte blanche to behave insanely. On a side note – let’s talk offline about your website. I love it’s design and simplicity. I don’t like mine. I have no control over it…confusing…can we chat about how to do one? And, ohhhhhhhhhh, so many more!! Hope your day is fun and your year terrific! Who is Ocean? Is that a real name? What’s the full name? I’m trying to find out who created this website. I found this website by accident when I was researching on whether it’s possible to conduct hyponosis on Deaf individuals who use ASL primarly.